One item on my follow-up todo list for GDC 2011 was to find out what happened to Steph Thirion’s Faraway game we previewed back at GDC 2010. Thirion was the developer responsible for Eliss, a favorite of ours. Well, we caught up with Thirion who was showing off Faraway at GDC 2011. 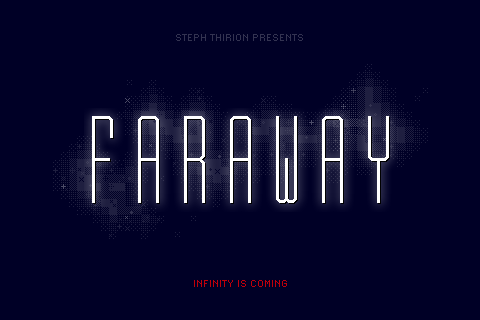 Thirion reports that game is still in the works but had been delayed by other projects that took him off task for a number of months, so work on Faraway has been on hold. He can’t commit to a release date yet, but he’s working on it again and hoping the release will be soon. The gameplay mechanics are pretty much the same as in our 2010 preview. 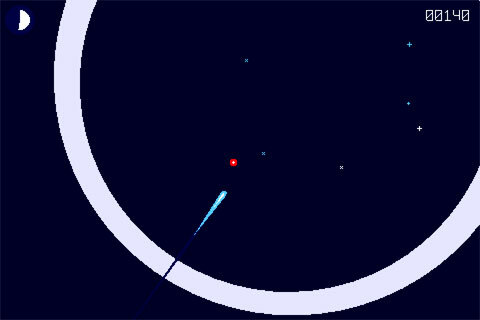 In Faraway, you control a comet by activating a gravitational pull by simply pressing a single button. 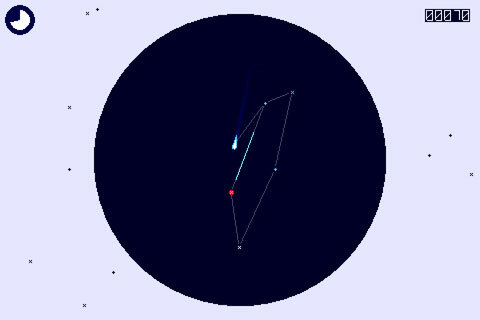 Each time, it activates a gravitational pull to the nearest star. 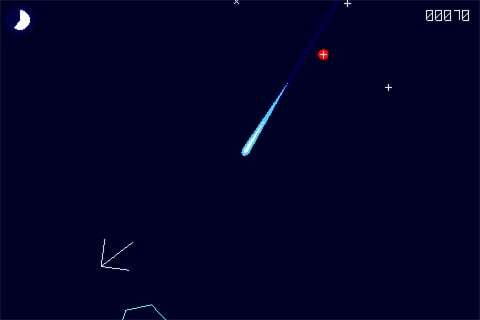 Using well timed presses, you can slingshot your comet into the right direction. The goal is to create as many complex constellations in the time allotted. Powerups include speed-ups as well as time-extenders. 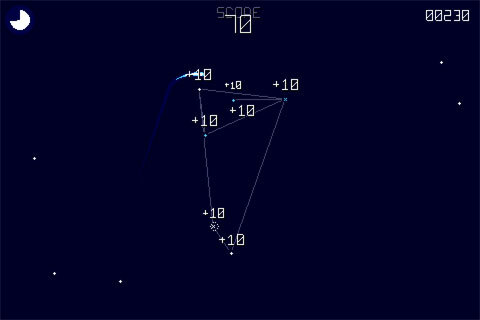 Creating large and looped constellations add to your high score (which will be recording on a global leaderboard). Once time runs out, you are treated with a panning view of the constellations you’ve created. Thirion has been tweaking some of the progression so that both skilled and unskilled players can have an enjoyable experience playing the game. We’ve got some updated screenshots for the game and have captured a bit of footage of the game being played on a Mac from the IGF display on the GDC floor. We will let you know as soon as it’s been submitted to Apple.